Baked Beans|Was it possible for Abraham Lincoln to eat baked beans? As simple a dish as it is, everyone seems to have a different baked bean recipe. 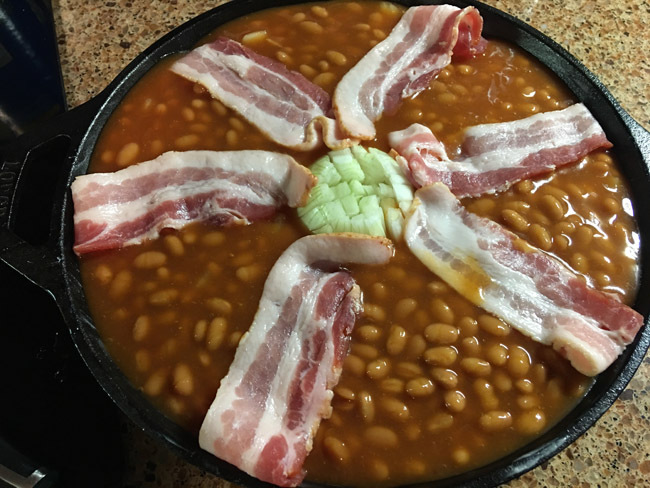 I’m going to enter my Cast Iron Skillet Baked Beans into the mix as not only a pretty side dish, but a tasty one, too. 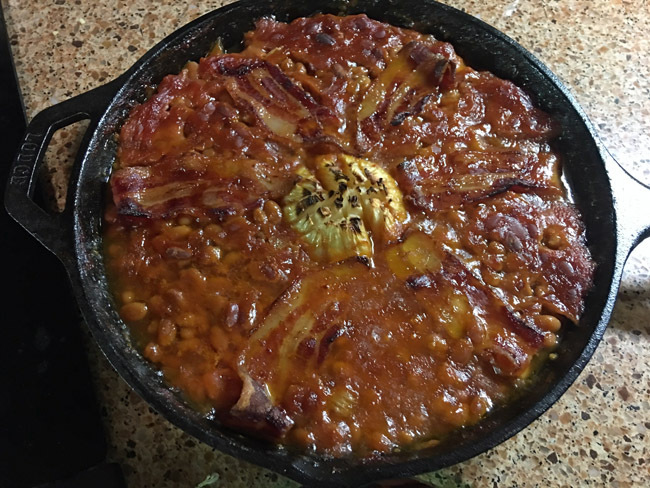 My Cast Iron Skillet Baked Beans recipe is somewhat basic so if you absolutely can’t stand beans without _ insert ingredient here_ then by all means add that ingredient. I’ve seen recipes with hot sauce, molasses, green pepper, root beer, maple syrup, barbecue sauce, and sorghum syrup. But hey, raise your hand if you have sorghum syrup in your pantry. No one. Raise your hand if you even know what sorghum syrup is. Again, no one. If you’re like me, then the basics are fine eating. Preheat oven to 350 degrees. In a medium bowl, mix together the beans, chopped onion, mustard, and brown sugar, set aside. Peel the outer skin from the onion and score the top almost to the bottom without cutting through the onion. 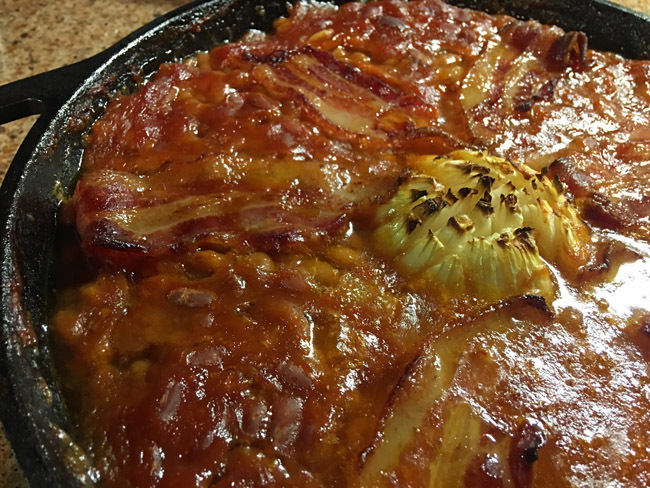 Place onion in the center of an iron skillet. 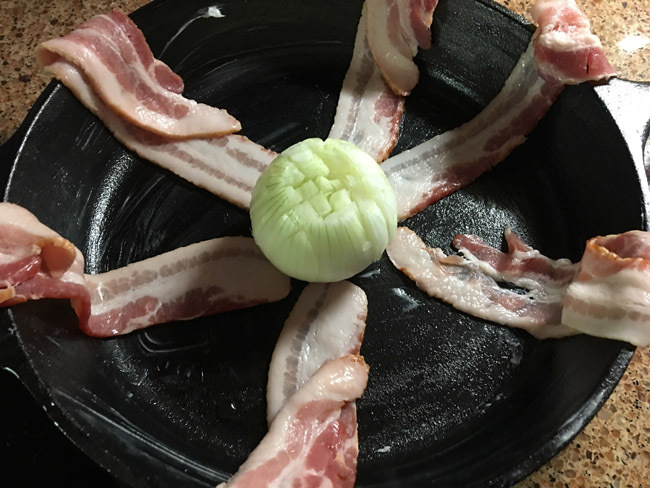 Place the strips of bacon in the bottom of the pan in a starburst pattern coming out from the onion with the ends of the bacon coming out over the sides of the pan. 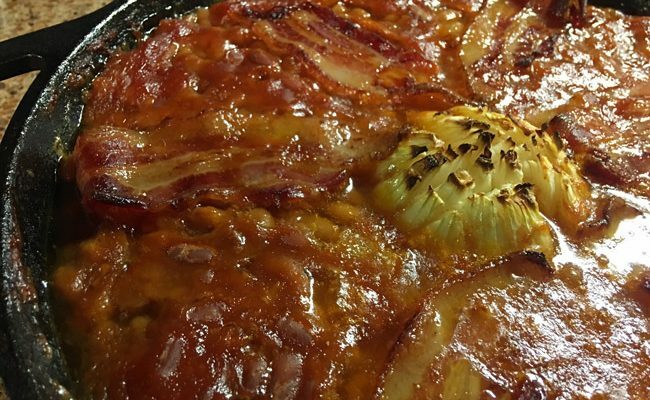 Slowly pour the baked beans in the pan around the onion. Fold the bacon back over the top. Bake at 350 degrees for 2 1/2 hours. Tonight I’m using my Abraham Lincoln pan. Davis got it for me for my birthday. 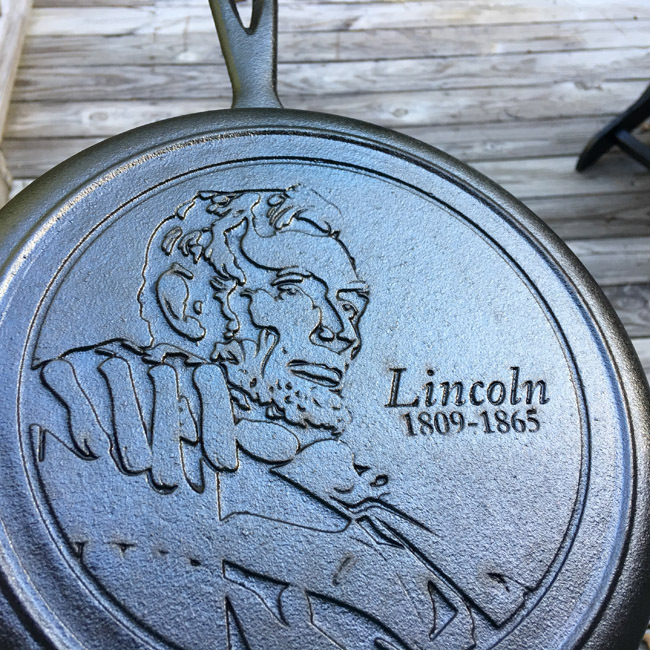 Abraham Lincoln is embossed on the bottom of a Lodge Cast Iron Skillet. Who doesn’t love some good presidential cookware? And now I’d like to play a little game with you that I play with my students. It’s called “Was it Possible?” You take a person and an invention and have to guess was it possible for that person to have used the invention. I have three questions for you. Put your thinking caps on. 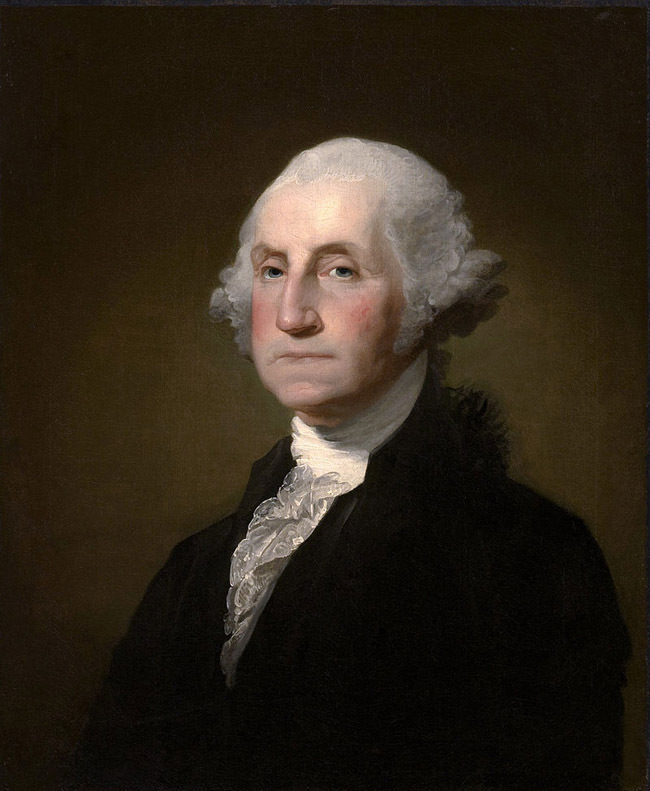 Was it possible for George Washington to ride in a Hot Air Balloon? The answer is Yes. 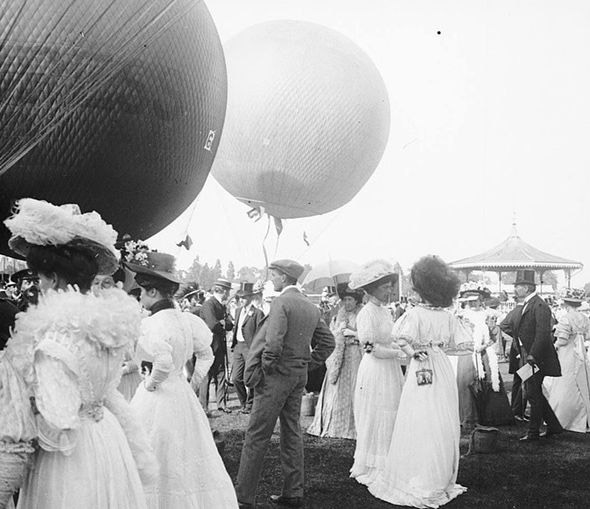 Hot Air Balloons were invented in 1783 by the Montgolfier Brothers and George Washington lived from 1732 to 1799. 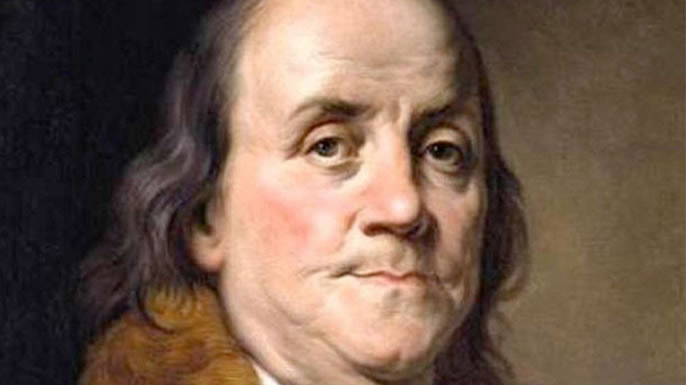 Was it possible for Benjamin Franklin to use a lawn mower? The answer is no. 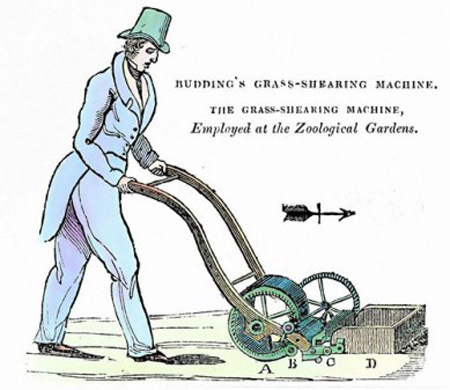 The lawn mower was invented in 1830 and Benjamin Franklin lived from 1706 to 1790. And now the last and most important question. 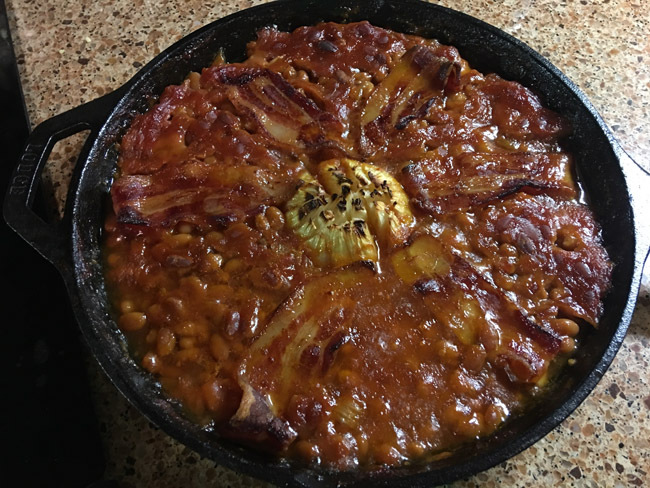 Think about my cast iron Abraham Lincoln skillet and my Cast Iron Skillet Baked Beans. Was it possible for Abraham Lincoln to have eaten baked beans? The answer is yes! According to many sources, baked beans originated with the Penobscot, Iroquois, and Narragansett Indians using beans and maple syrup. The Pilgrims learned how to make baked beans from the American Indians. 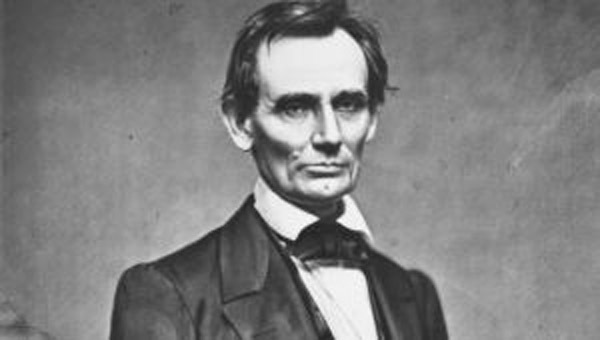 Abraham Lincoln lived from 1809 to 1865. 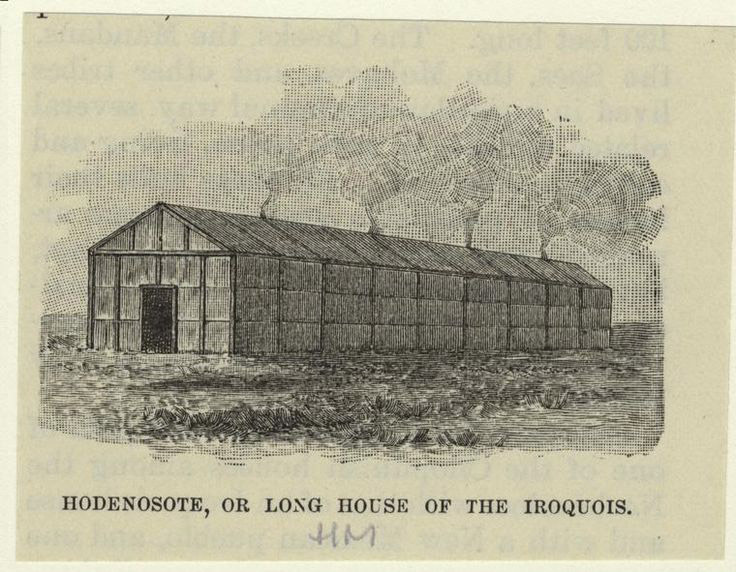 Beans had been in North American pots for many years before Abraham Lincoln. Thanks for playing along. Admittedly kind of a fun game for any age. Now, go eat some beans. This is interesting. I got 2 out of 3 of your questions!